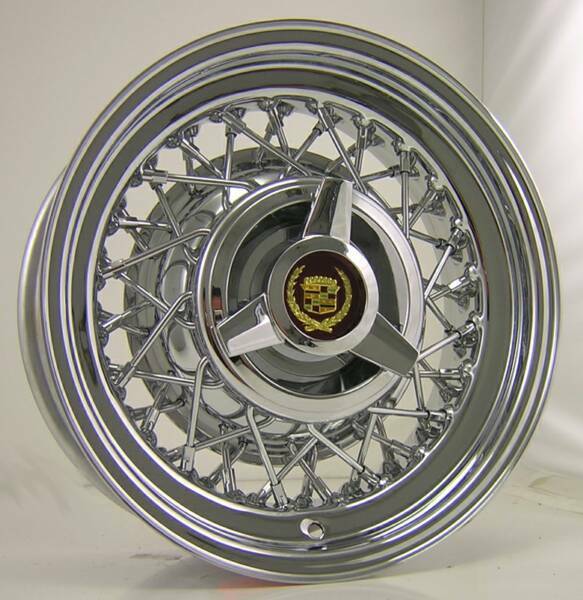 These wheels come complete with METAL caps and spinners with emblem. 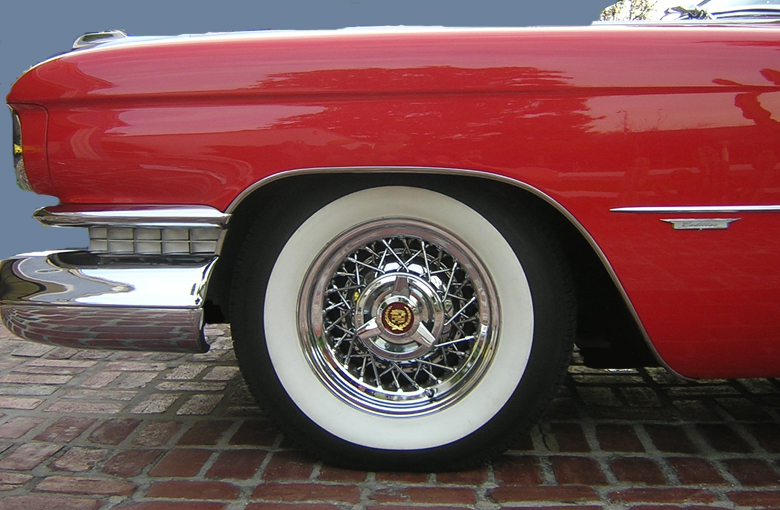 We use 48 spokes... for closer originality. 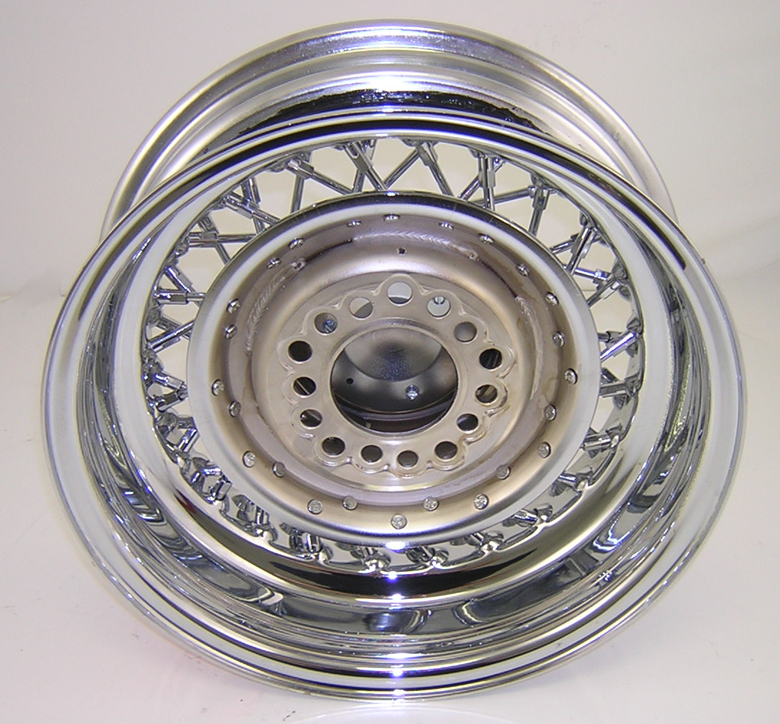 Our wheels are made in America.. and are hand made...These wheels..caps...and emblems RETAIL AT $3,650 PLUS TAX. 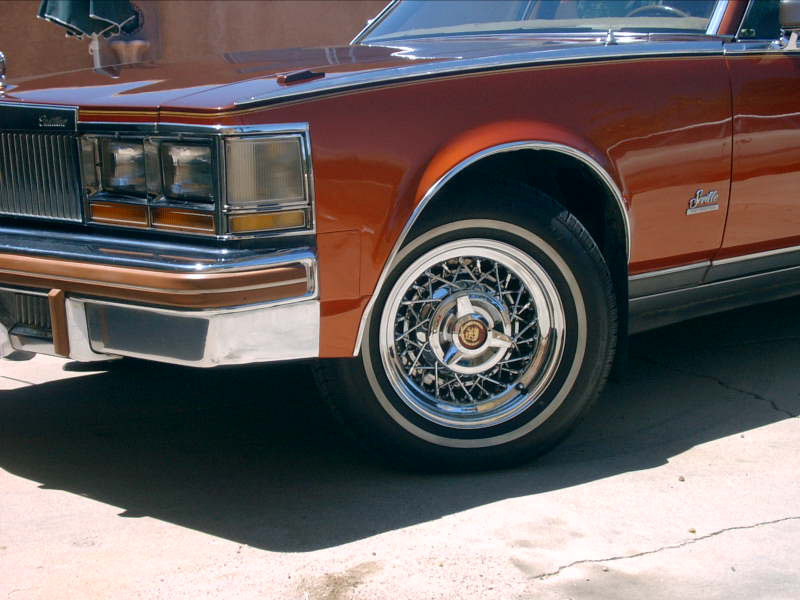 We wholesale these wheels for $2,850... COMPLETE. Add $175 shipping to your door! CAL PURCHASERS PAY 9.25%TAX. 5th wheels add $750. REMEMBER.. competitors sell their caps separately... we don't. OUR CAPS ARE METAL. WE ALSO QUADRUPLE PLATE EACH PIECE INDIVIDUALLY AS OPPOSED TO DUNKING A DONE WHEEL ONCE. 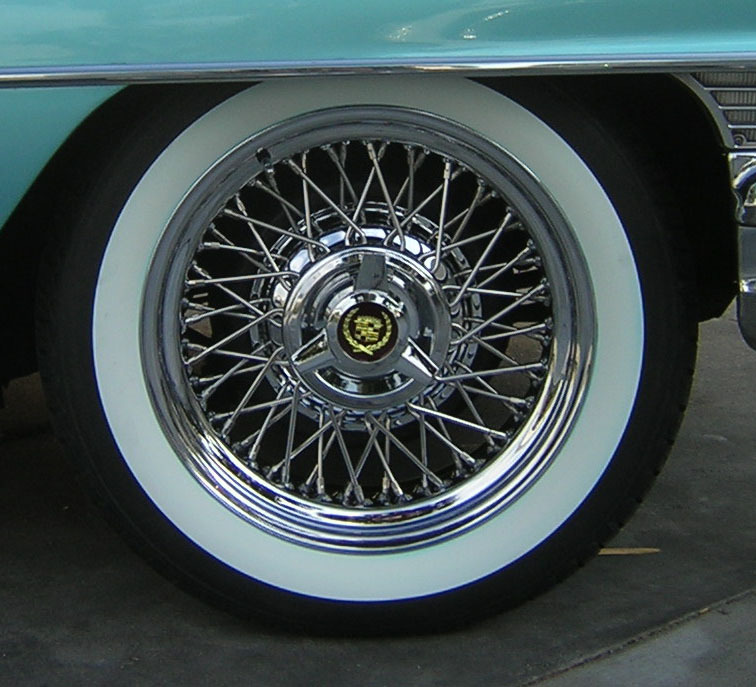 These are 48 spokes and are built to fit rear wheel drive Cadillacs from the 40's to the 90's. 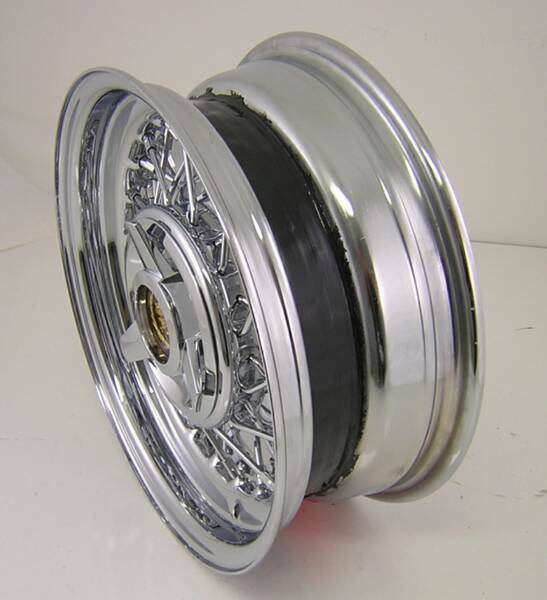 5th Wheels for spares or Continental kits.. CALL if you have ANY questions...we'll figure it out! Payment done by CREDIT CARD or PAY PAL. Please remember to stipulate make, model, and year of car. For Stainless spokes add $1,000. AVAILABLE IN SIZE 15 X 6 AND UP TO 18's or even 20's (FOR ADDITIONAL COST ) DELIVERED IN THE USA.. IN THE USA! 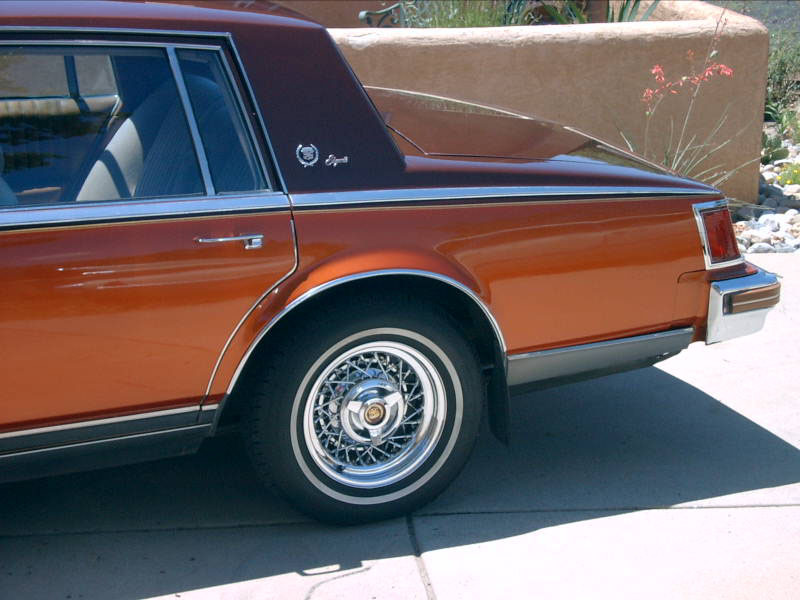 OUR BAD BOYS ON A SEVILLE.. MADE SPECIFICALLY FOR THIS STYLE CAR.. BUT SHOWN ABOVE ON OTHER MODELS... LOOKING AMAZING ON ALL REAR WHEEL DRIVE CADS! REMEMBER... IF A COMPANY SELLS TIRES AND WIRES.... THEY MAKE NEITHER!! !